The beloved heroine of our childhood Sarah Kay, in this romantic Greek Christening invitations for your little girl. 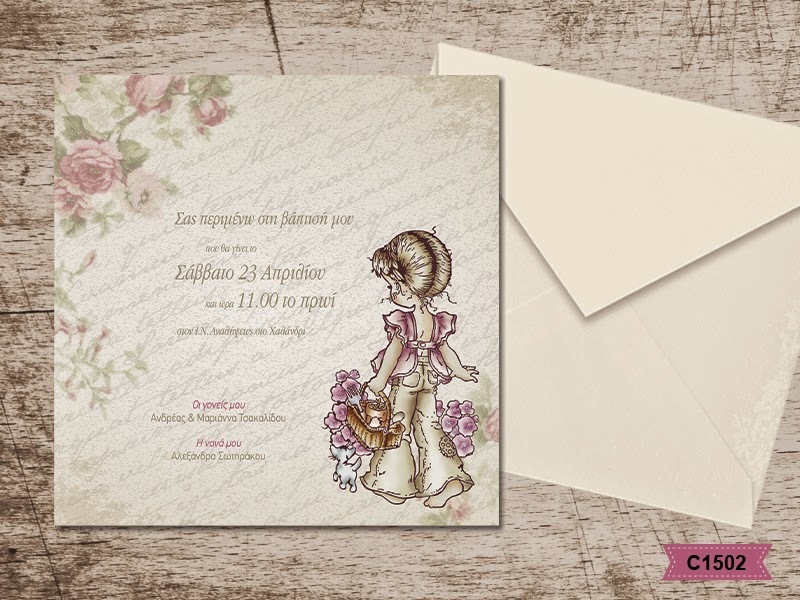 Lovely pastel colors and flowers give a nostalgic mood in this invitation which will be unforgettable. https://www.preciousandpretty.com/2015/03/christening-invitations-sarah-kay-c1502.html Greek Wedding Favors|Orthodox Crowns|Stefana|Baptism Invitations Christening invitations Sarah Kay C1502 Greek Christening invitations Sarah Kay Product #: Greek Wedding Favors|Orthodox Crowns|Stefana|Baptism Invitations_959685022579855725 5 stars out of 5 reviews.